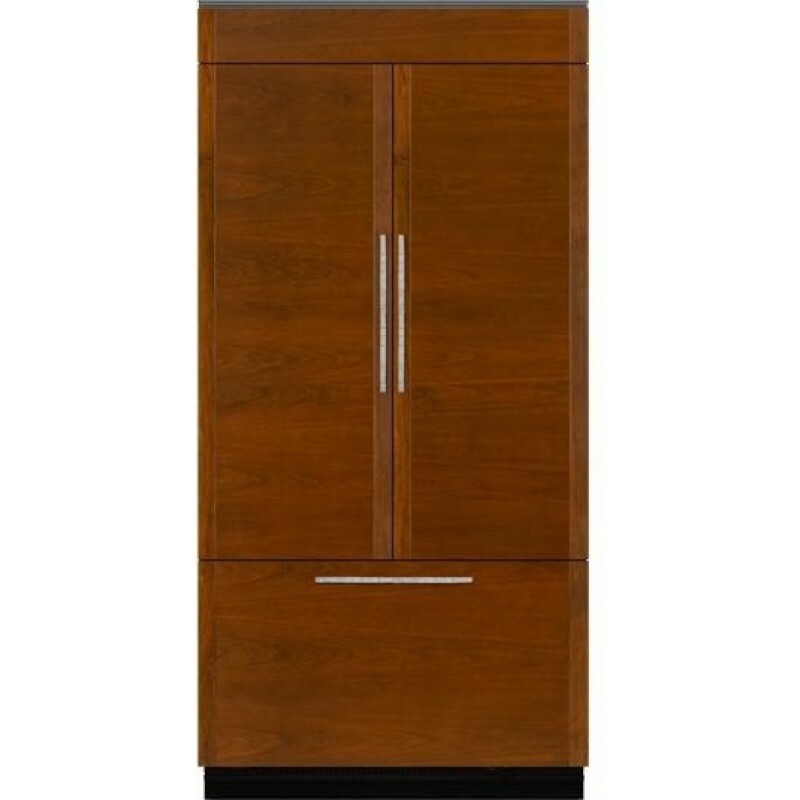 Jenn-Air JF42NXFXDE 42 Inch Built In Counter Depth French Door Refrigerator with 24.17 cu. 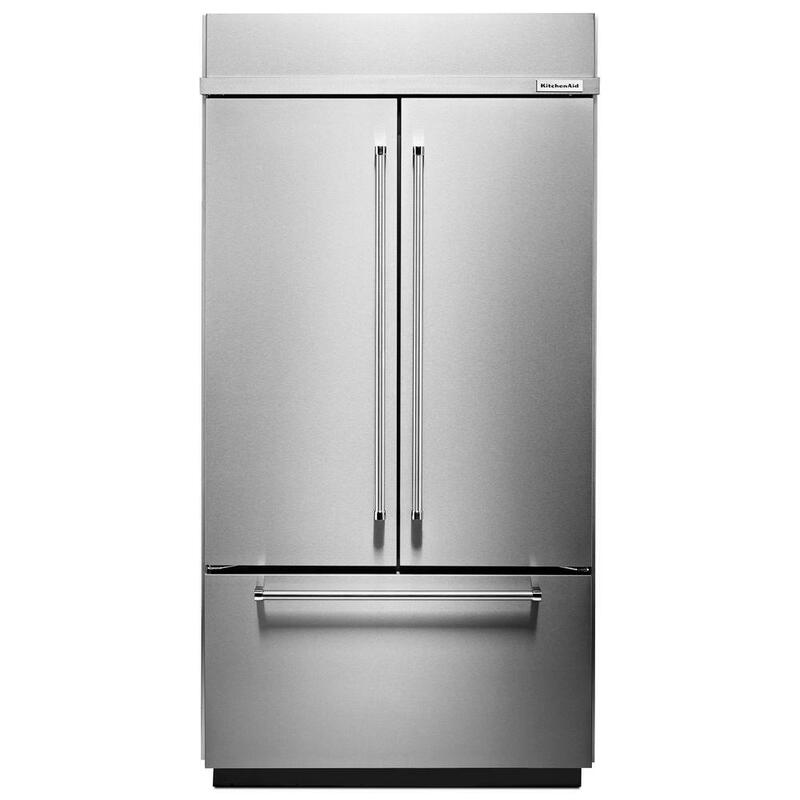 ft.
Home » Refrigerators » Jenn-Air JF42NXFXDE 42 Inch Built In Counter Depth French Door Refrigerator with 24.17 cu. ft. 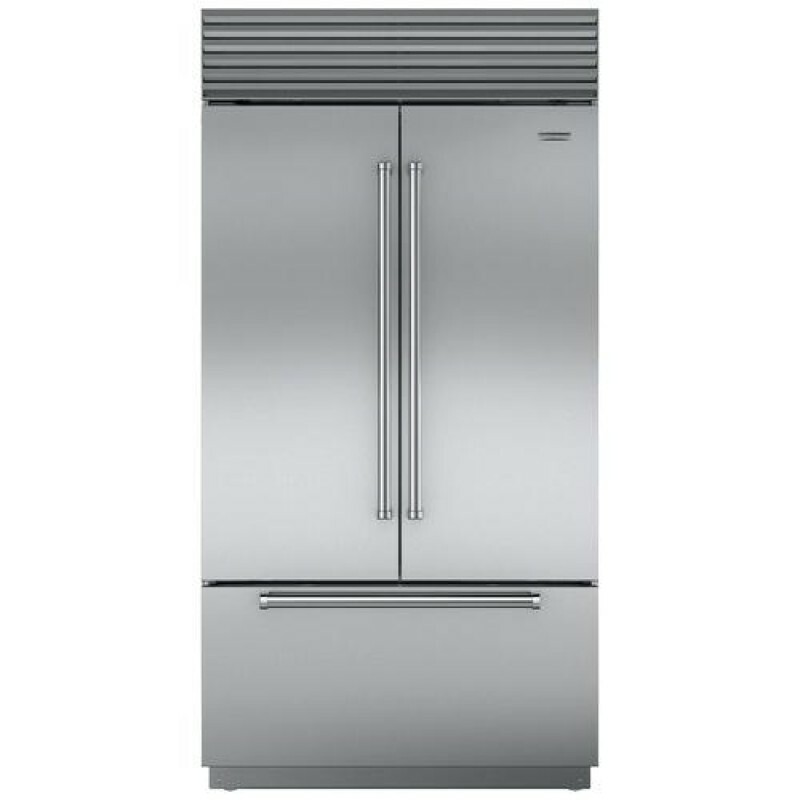 Exclusive Obsidian interior dazzles guests as food item colors "pop", even in matching crisper drawers and the freezer. This system creates two distinct environments, ideal for both fresh and frozen foods' different preservation needs. It creates cool, humid air in the refrigerator and produces dry, frigid air in the freezer. Multiple LED lights increases visibility and beautifully showcases food items against the Obsidian interior, on both Elegance Shelving and inside refrigerator and freezer drawers. 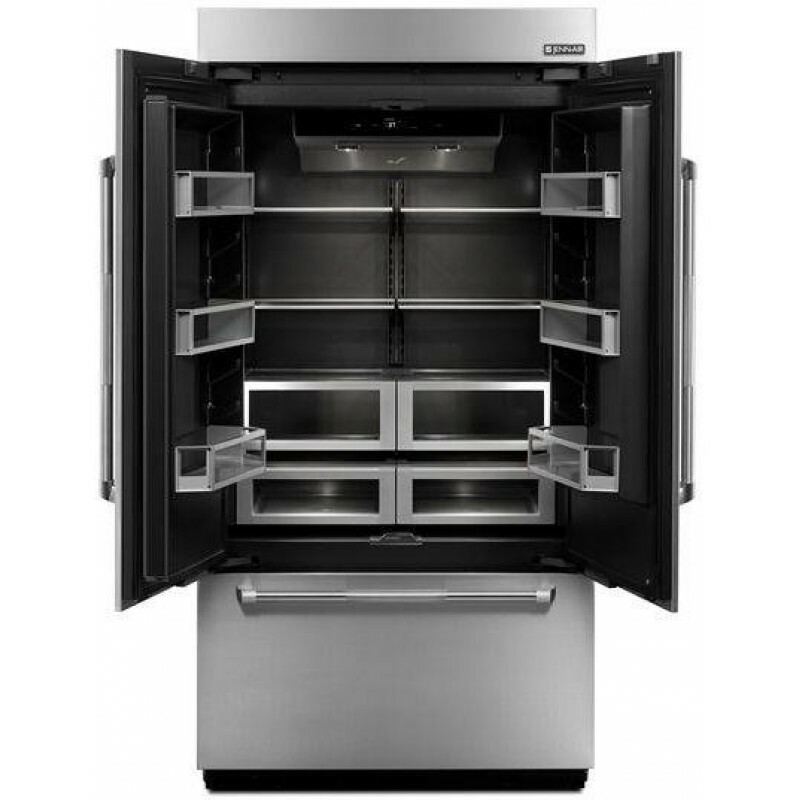 Soft-Close technology lets refrigerator drawers close softly, quietly, and securely. Glass shelves accented with brushed aluminum trim appear to float with an open, refined look, providing enhanced visibility while making foods and beverages easy to see and locate. Delays over-ripening* of certain fruits and vegetables by absorbing ethylene gas. *Based on commonly purchased produce. 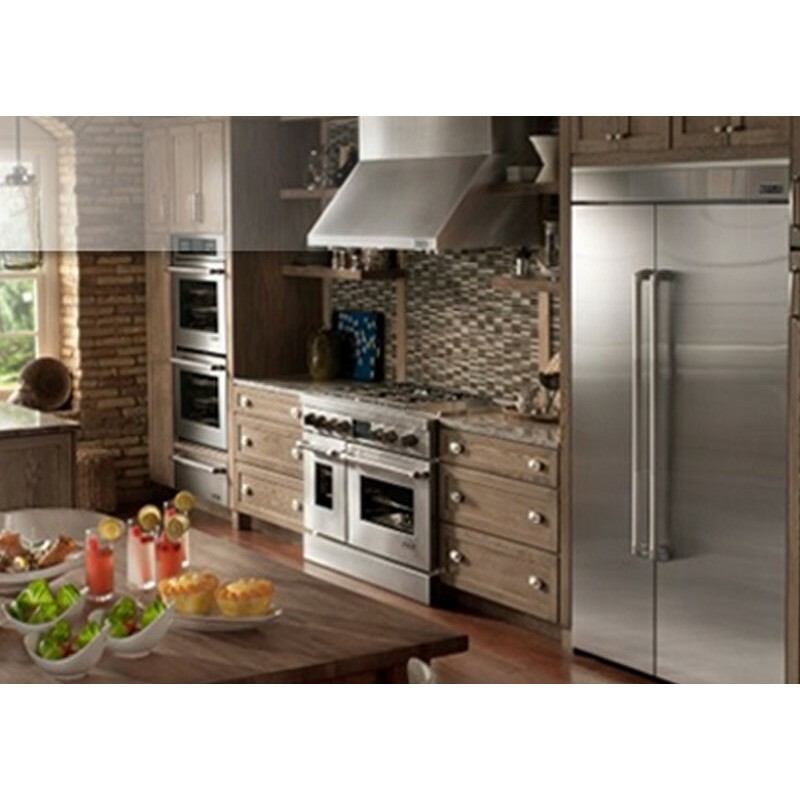 Enjoy an interior refrigerator environment that is fresh and free of common food odors. Enjoy access to a steady supply of fresh, filtered ice conveniently stowed in its own drawer. Makes fresh-tasting ice at a faster production rate for 24 hours to accommodate your entertainment needs. Chill trays of hors d'oeuvres or serving platters of epicurean entrees in a spacious design that keeps the refrigerator compartment at eye level with a bottom-freezer that allows for efficient organization of frozen items. I had often seen Jenn-Air refrigerators in other people’s homes but never understood the fuss until I got my own. The French Door looks fantastic in my kitchen and can hold so much food. 10/10! I bought this unit about two months ago, and still there is so much that I don't know about this refrigerator. Everyday, it surprises me with its unique features. I love this refrigerator.